Do you have questions about QDC? Are you looking for a quick answer? Check out our list of frequently asked questions, we may have the answer for you! The QDC staff is comprised of Queen's University students that have a strong dance background and a passion for teaching. Check out the teacher bios under Classes to get to know our teachers better! All QDC classes are held in the dance studios of the Queen's Athletics and Recreation Centre (ARC). They are on the second floor across from the weights' section. Please refer to our schedule to see which studio your class will be held in! When do QDC classes officially start? QDC classes will officially start on September 22nd. Can I try a class before I sign up for it? Yes! We hold a September Trial Week from Saturday, September 13th to September 19th where you can try any of our classes - for free! Arrive at the ARC at least 15 minutes before the class starts, sign in with one of our exec members. This will give you the chance to explore different levels and styles before the registration process begins. I’ve never danced before, is there a class for me? Definitely. QDC offers many classes for students that are new to dance! We have beginner classes in almost every discipline, which are offered for first time dancers. We even created our own style called Cardiofunk, which is a perfect blend of an exercise class and a dance class to ease the transition for beginner dancers. Be sure to check out all our teacher bios, and class descriptions on the Classes page for more info! How do I sign up for QDC classes? We will hold an online registration on September 19th and September 20th. You will need a credit card to register. You can learn more about our registration process by checking back on our Announcements section here on the website, or by talking to a QDC staff or executive member during our Trial Week. Can I sign up for just one semester of a class? Unfortunately, this is not possible. However, if you want to sign up for just the Fall semester, you can register for the full year of class and simply get in touch with our Finance Director, Kali Dalton, and she will be able to refund you half the price. If you only want to sign up for the Winter semester, you must wait until Winter Registration after the holidays. How much do QDC classes cost? 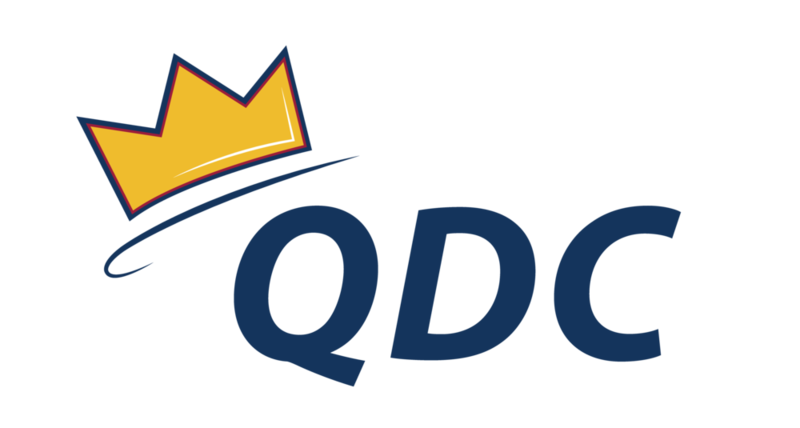 QDC classes will all be an hour and 15 minutes this year, and all classes will cost $80 for the full year or $40 per semester. These final prices cover the cost of recital costumes and dance classes for the entire academic year per class registered. Every year, QDC students perform in two annual showcases: our Mid-Year Recital and our Final Recital. Both showcases are held in Duncan MacArthur Auditorium on Queen's West Campus. This year our Mid-Year Recital will take place on the evening of Friday, December 1st, and three performances of our Final Recital will run on both March 29th and March 30th. Please continue checking our website for updates on ticket sales for both of our shows! Does QDC support a charity? Every year, QDC supports a charity! This year we have chosen to support Jack.org. Make sure to check out our Outreach page to learn more about Jack.org, our charity work, and how YOU can get involved. How can I be involved with QDC outside of the studio? As the largest recreational club in Canada, creating and maintaining a strong sense of community is extremely important to us. We hold multiple social events each term to provide our club members with opportunities to meet more dancers on the Queen's Campus. Be sure to keep checking the website and our Facebook page for information on upcoming events!